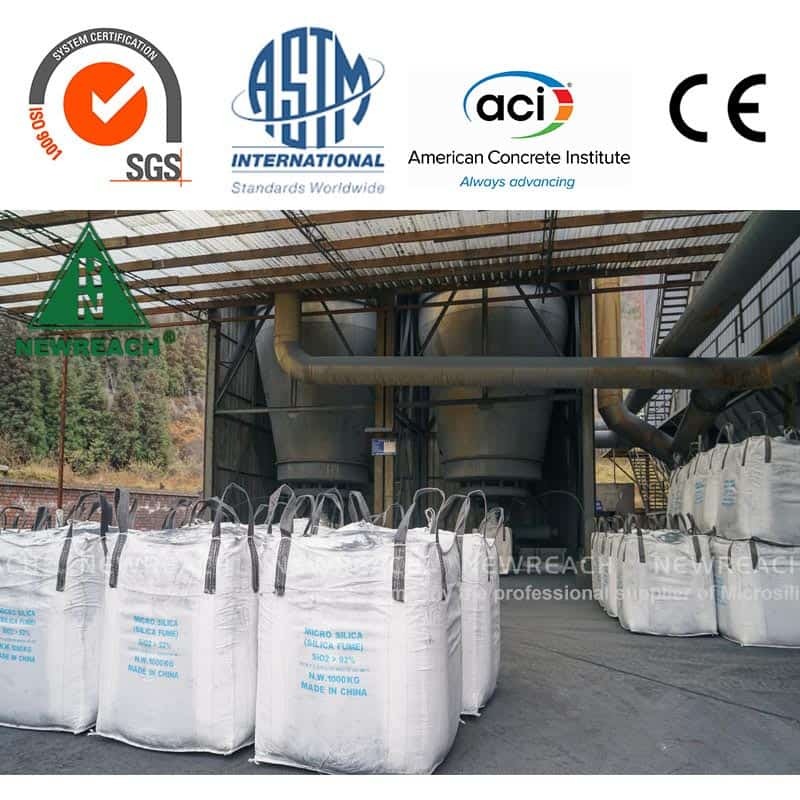 Dry densified silica fume is by far the most common form of silica fume used in current concrete practice; the alternative, slurried silica fume has become unavailable in many places. 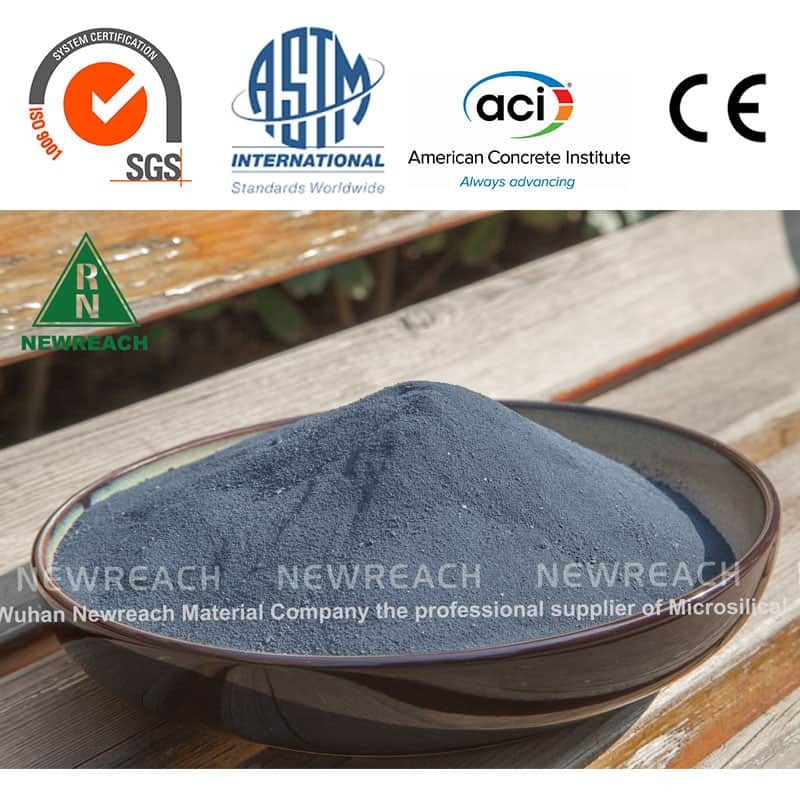 Densified silica fume as commonly supplied consists of particles of sizes up to several millimeters, which are generally not dispersable into individual silica fume spheres. 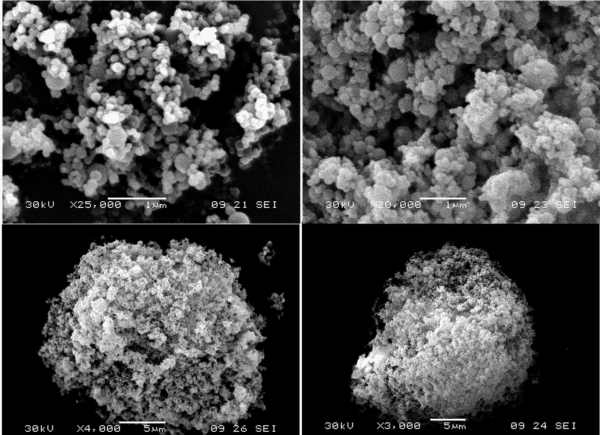 Densified silica fumes from some sources can be dispersed by moderate ultrasonic treatment into small clusters or chains of spheres; others resist such treatment and mostly remain as large agglomerates. 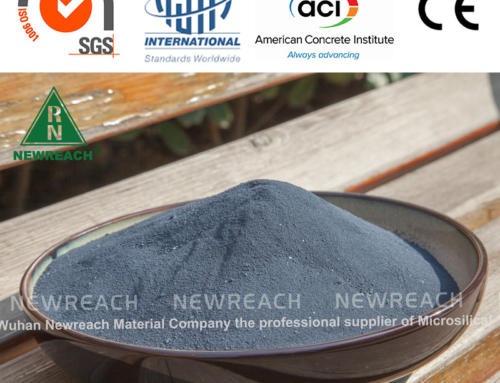 Under conventional concrete mixing, substantial contents of agglomerates almost always remain in the concrete. Thus the assumption that the densification process is somehow ‘reversible’ is not generally warranted. 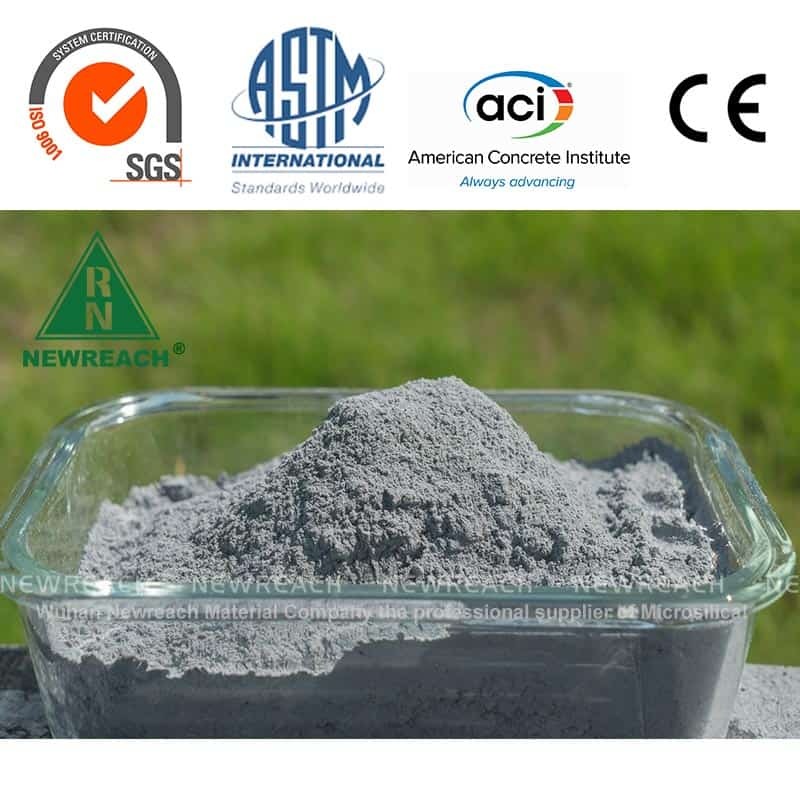 The sizes of undispersed agglomerates remaining in concrete after mixing often exceed the sizes of Portland cement particles, thus limiting any potential benefits attributed to the fine particle filler effect. Large undispersed grains appear to always undergo chemical reaction in concrete, but such reactions may induce ASR damage only under especially unfavorable circumstances. The use of silica fume (also called microsilica) in concrete has had a long and productive history. 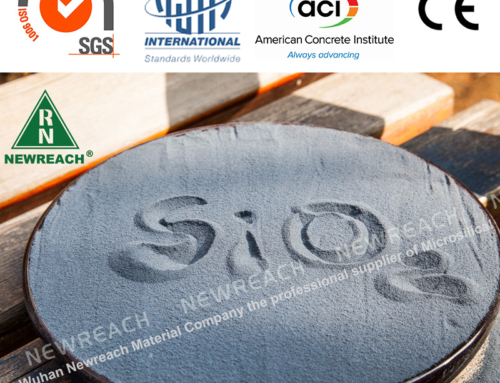 High performance concretes incorporating silica fume are now widely used. 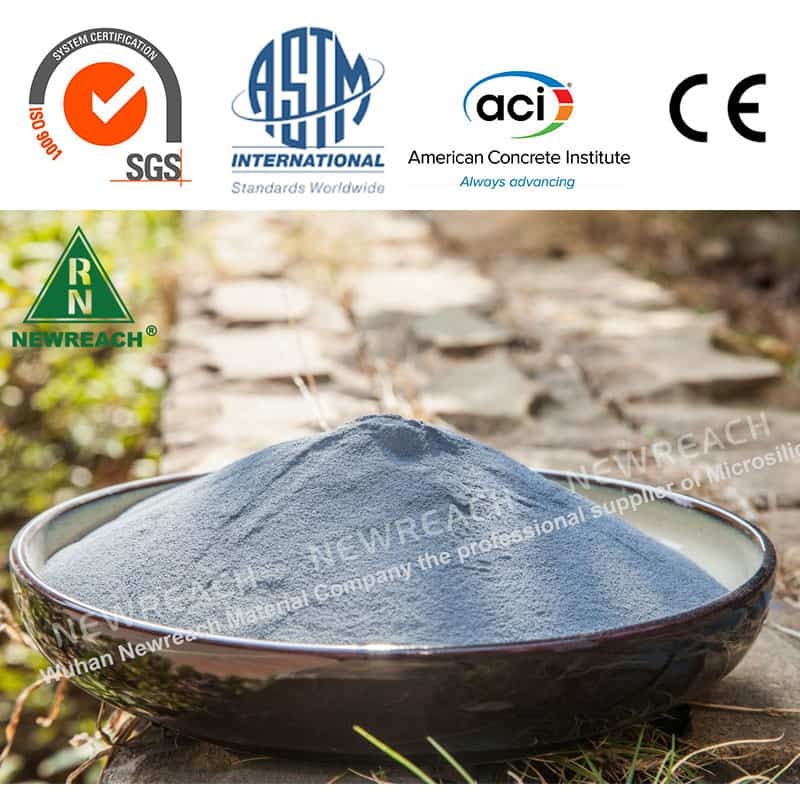 Extensive research has been carried out and innumerable papers describing properties of such concretes have appeared in the literature. As is well known, silica fume can be supplied in various forms. In its original “as collected” form, the low bulk density makes shipping expensive, and the submicron-sized particle “dust” makes handling awkward. 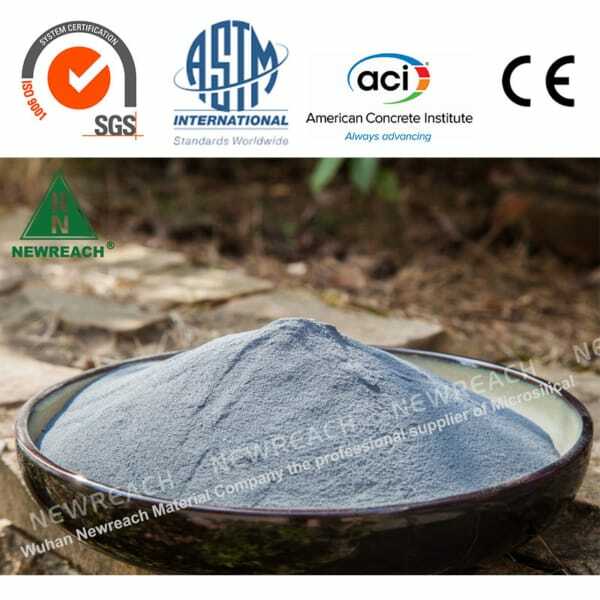 To meet these objections, suppliers have marketed silica fume for incorporation in concrete either in slurry form or as dry densified silica fume. The dry densified form appears to be by far the most common form used; indeed, the slurry form is no longer available in many places. Accordingly, it is important that the specific characteristics and behavior of the dry densified form be thoroughly understood. Much of the research published in the earlier days of silica fume investigations is based on the behavior and characteristics of silica fume in unprocessed form. In some of the research the form of the silica fume was not stated, the assumption being that it did not matter. It has been assumed by many that any effects of the densification process are somehow “reversible”, and can be ignored. Unfortunately, it appears that this is not generally the case. In addition to this uncertainty about the effects of the densification process, there has been some confusion in the literature concerning the actual particle sizes and character of the silica fume as originally collected, i.e. before densification. The present paper is an attempt to help clarify these matters, with the aim of providing a more realistic picture of the actual particle characteristics of silica fumes. It is clear that silica fume, in whatever form supplied, is a high surface area material. Surface areas as measured by nitrogen BET are consistently reported to be of the order of 20,000 m2/kg. This is a high surface area, but actually it is considerably lower than, for example, many clays. 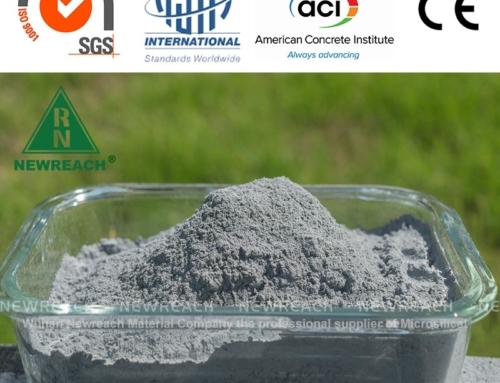 Clays are readily dispersed into individual particles in aqueous suspensions. In such suspensions of individual particles the particle sizes can be readily measured. Common means include laser diffraction and various sedimentation methods. 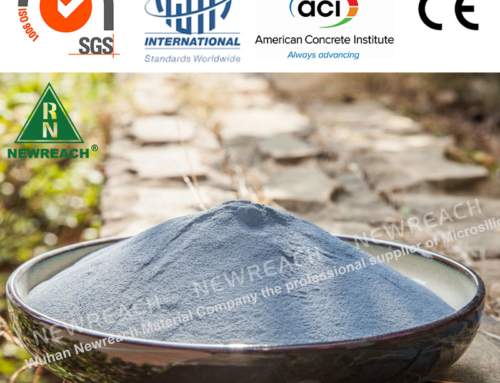 The particle sizes of clays are commonly found to be between ca. 0.1μm and a few μm. 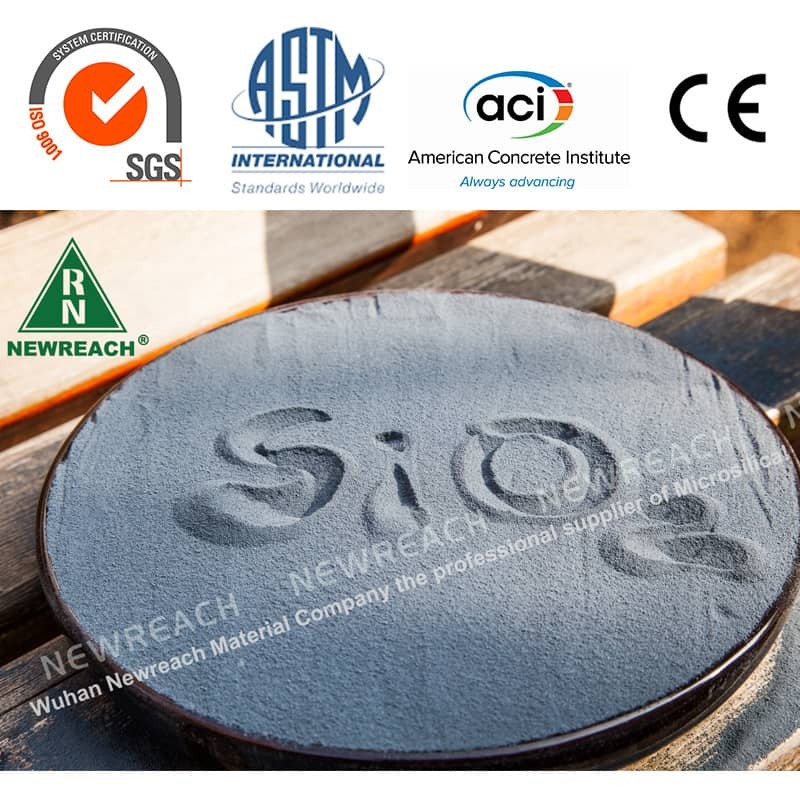 Since clay particles are usually platy in shape, the sizes are usually recorded in terms of “equivalent spherical diameter”. The particle size distribution of silica fume is not so simple to measure or characterize. As is well known, the ‘ultimate’ silica fume particles are exceedingly small spheres. The diameters actually measured in particle size distribution measurements might correspond to the diameters of the spheres – if the spheres were disconnected from each other. The difficulty is that the dispersability of silica fume into an assemblage of isolated spheres seems to be not possible because of fused links existing between them at points of contact. The effect of such fused links is to sinter the spheres together into chains more commonly clusters, each consisting of dozens or hundreds of linked spheres. Illustrations of such clusters have been provided by various workers. Transmission electron microscopy (TEM) is the usual technique employed to depict the sizes of the spheres, and to examine the details of clustering. 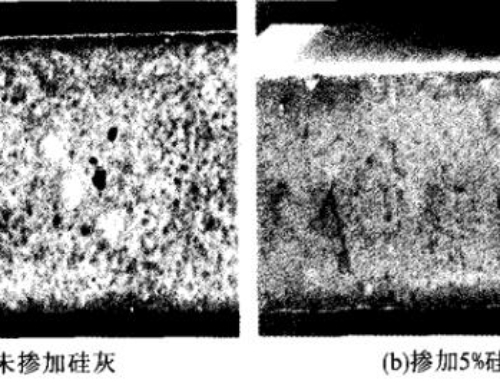 Secondary electron mode scanning electron microscopy (SEM) has been used, but the depth of field of this mode of examination is such that many layers of spheres are visualized at the same time and it is difficult to see isolated individual clusters. An illustration of the cluster effect as it appears in TEM is shown as Fig. 1. The micrograph is taken from a particularly well-dispersed area in a TEM specimen taken from a commercial densified silica fume that has been used in various concretes at Purdue University. The individual spheres shown in Fig. 1 range in size from about 0.03μm to about 0.16μm. However, in a particle size distribution analysis the sizes of the particles that would be measured are not the those of the spheres themselves, but rather the sizes of the clusters. Such linked clusters of spheres have been often referred to in the literature as “chains”, but as can be seen in the micrograph they are frequently three-dimensional assemblages. The smallest cluster in Fig. 1 is about 0.4μm long and about 0.3μm wide, and contains about 20 individual spheres. The largest cluster, in the right hand part of the figure, is about 1.2μm long and a little less than 1μm wide; it contains more than 100 individual spheres. While it is not easy to accurately define the three-dimensional “sizes” of such clusters, they are obviously substantially larger than the sizes of the individual spheres of which they are composed.